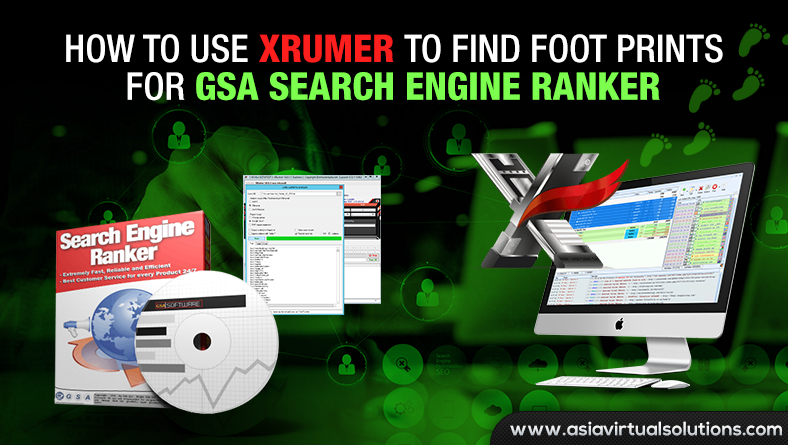 How to use Xrumer to find foot prints for GSA Search Engine Ranker — . :: GSA SEO & Marketing Forum ::. Extracting GSA Search Engine Ranker footprints using Xrumer's link pattern analysis will help you find thousands of additional and relevant target URLs to post to. Asia Virtual Solutions walk you thru the steps of extracting footprints from your existing list using Xrumer and then we also show you how to use the footprints to scrape for targets using Scrapebox. which package do you recommend standard or business ? how is its submission, verifying ability ?